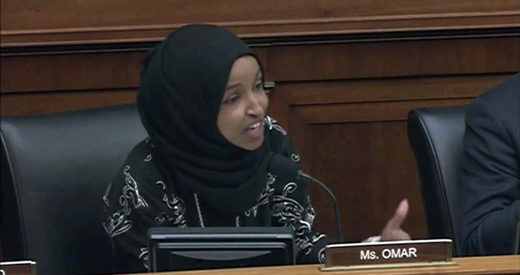 Minnesota Democratic Congresswoman Ilhan Omar was clearly in no mood to waste time when war criminal and convicted liar Elliott Abrams appeared before the House Committee on Foreign Relations on Wednesday. This was despite the fact that in recent days she's faced a bipartisan furor for tweeting the truth about AIPAC's outsized role in the buying and selling of politicians, as well as calls for her resignation from President Donald Trump for her alleged "deep-seated" anti-Semitism - an ironic statement coming from a man whose stock-in-trade has been open bigotry targeting Mexicans, Central Americans, Muslims, immigrants, and black people. So when Abrams - now the Trump administrations special envoy to Venezuela and a hatchet man for the slow-motion coup against the Maduro government - appeared before Congress, Omar went straight for the jugular.